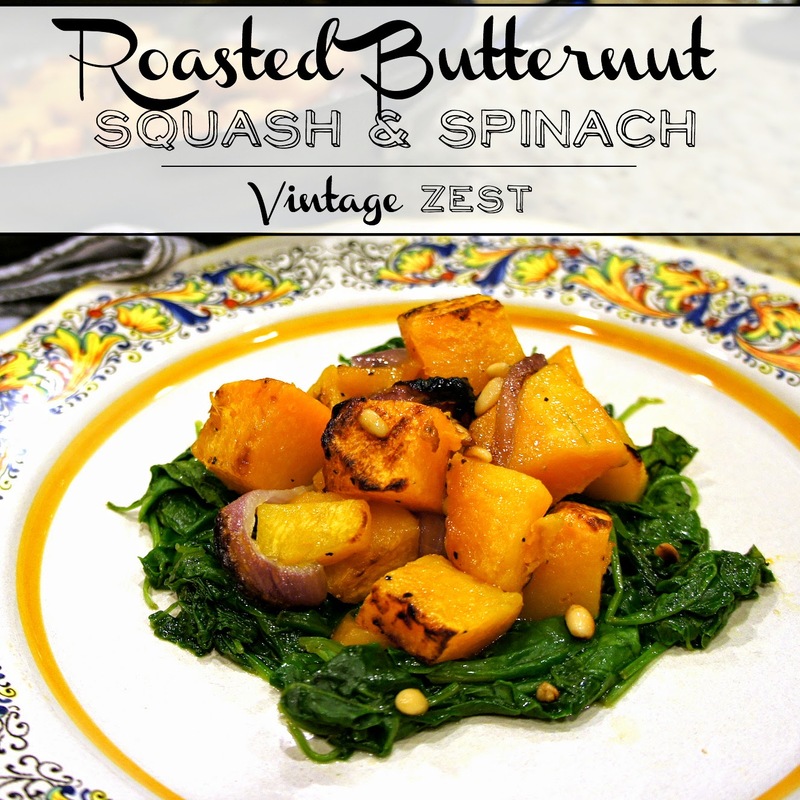 Roasted Butternut Squash & Spinach ~ Diane's Vintage Zest! For this week's recipe, I have an interesting flavor combination for you that came about when there were limited ingredients on hand, and I wanted to keep things healthy. As you know, I am a complete carb addict, so if there isn't pasta, bread, or rice involved, it's hard to keep me satisfied. However, this dinner was surprisingly filling for this girl, so I knew that I had to share! 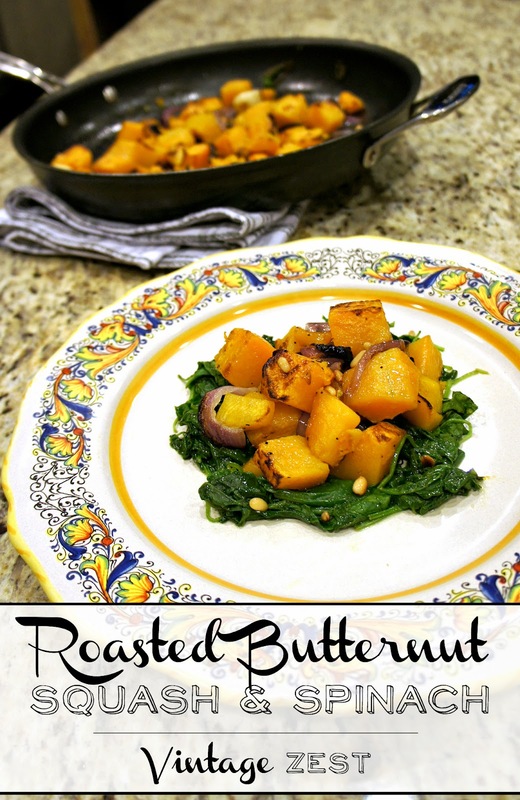 Personally, I love the sweetness of the caramelized butternut squash and onions, contrasted with the savory spinach and nuttiness of the toasted pinenuts. 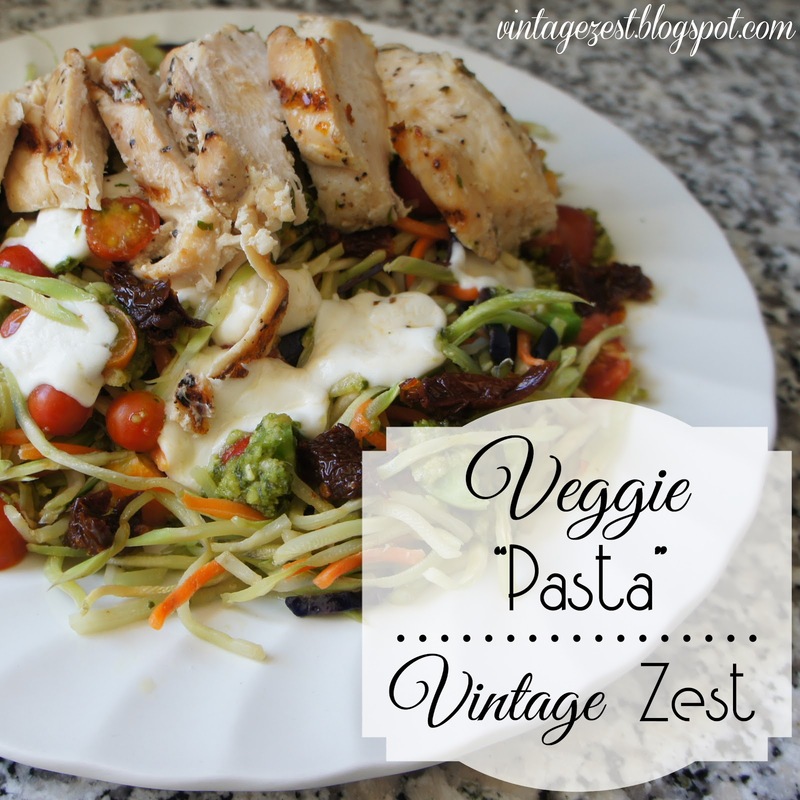 Not only is the dish healthy, but I think it's pretty gorgeous with how colorful it turned out! By the way, I obviously was not in my kitchen for this recipe, so I didn't include my normal step-by-step pictures. However, it is so easy to make that you will have no problem doing this on your own without the photos. Let's get to it! 2. 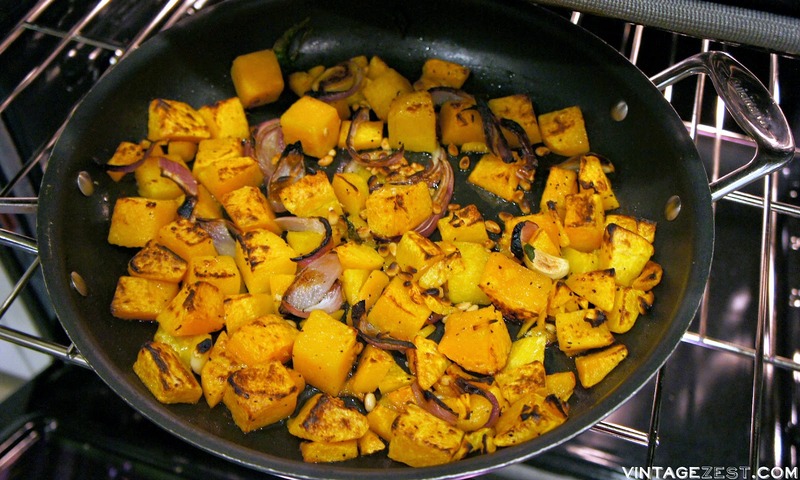 Drizzle the oil over the butternut squash, onion, and garlic. Season with salt and black pepper. 3. Arrange the coated squash on a baking sheet or oven-safe dish. 4. Roast in the preheated oven until squash is tender and lightly browned, about 20 to 30 minutes. Keep an eye on the onions and garlic to make sure they are caramelizing and not burning, and stir as needed. 5. Just before the squash is done, add the pinenuts and spinach to the dish. Note: A real chef would do this in another dish, but to avoid washing more dishes make this a one-dish meal, I just moved the squash mixture to one side. Also, the spinach will soak up any caramelized juices at the bottom of the pan and wilt very quickly in the hot dish! 6. 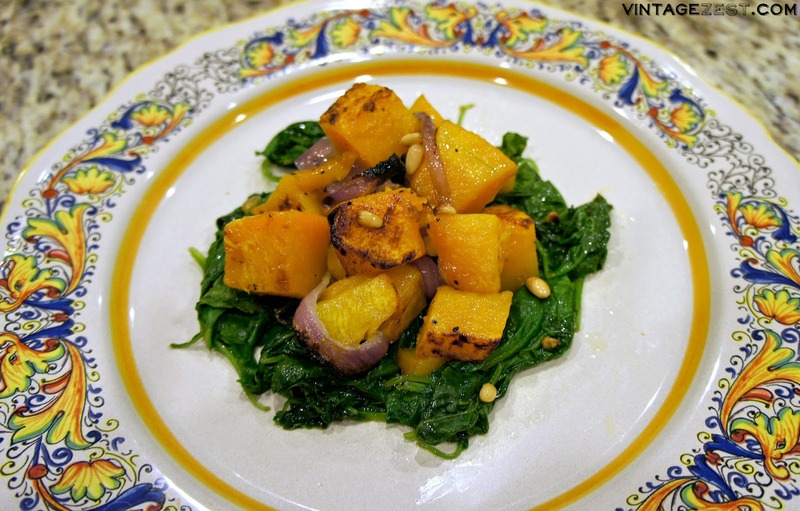 To serve, spoon the wilted spinach on to the plate then top with the squash mixture. Sprinkle with additional pinenuts, if desired. That's it! A super simple recipe that requires one dish, minimal prep, and very little hands-on time. I love that it is healthy, satisfying, and pretty gorgeous for a weeknight meal at home. 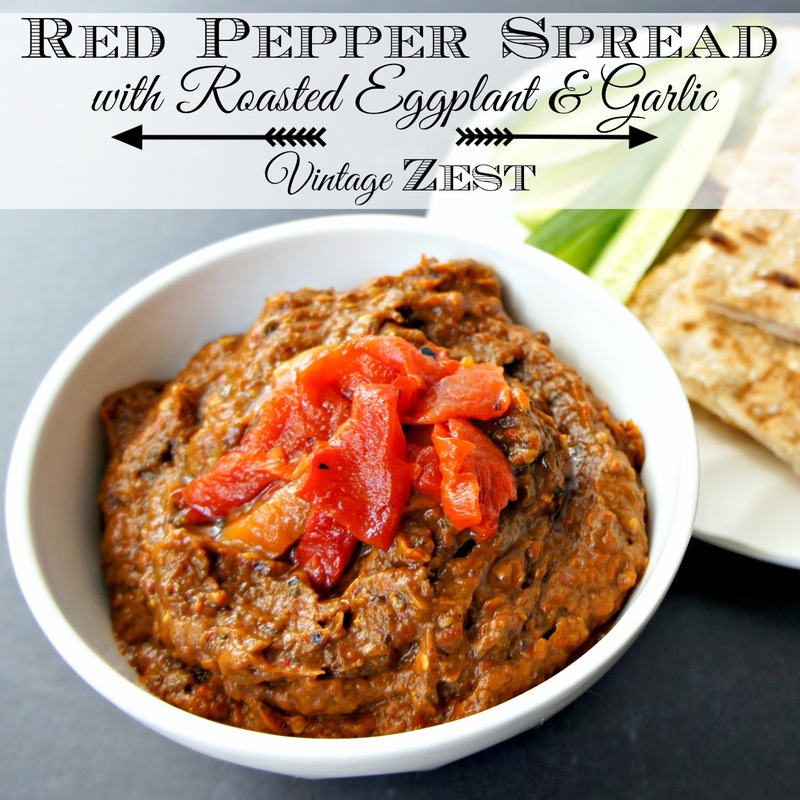 Try it out and let me know what you think of this improvised recipe! 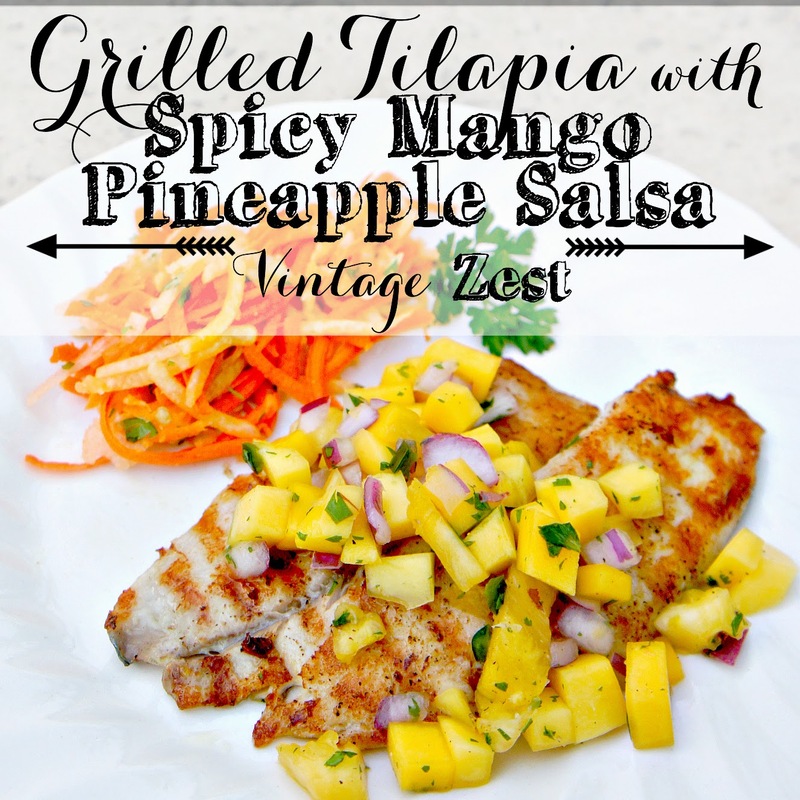 What is your favorite easy weeknight meal?